José Alberto Cosillos Bustamante, 42, looks inside his home in Ures, Sonora, one of seven municipalities in the Sonora River Basin. The area was contaminated by a mine spill in August 2014, affecting more than 22,000 people along 200 miles of the Sonora River. 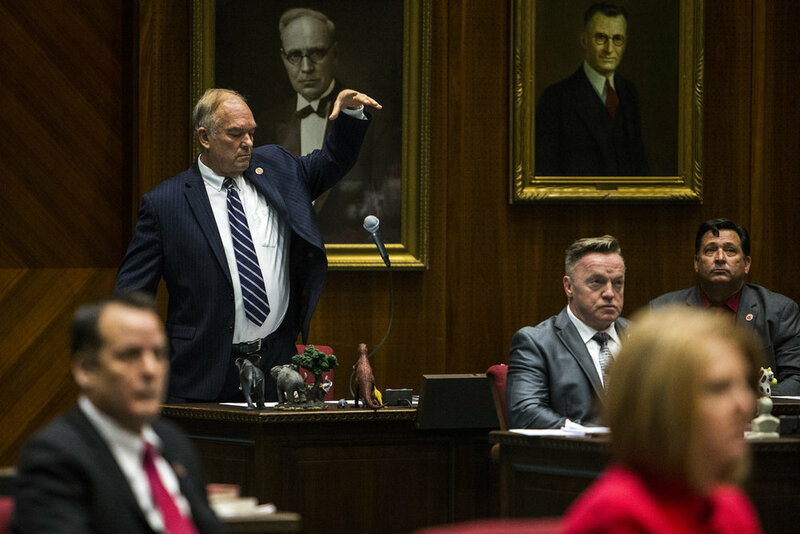 Former Arizona State Rep. Don Shooter drops his microphone after giving a statement before lawmakers voted to remove him from office on Thursday, Feb. 1, 2018 at the Arizona House of Representatives Chambers in Phoenix. Shooter was expelled after an investigation found he had sexually harassed women. The Capitol building is reflected in Nikol Felder's glasses during the Montgomery Pride march on Sunday, Jun. 26, 2016 in Montgomery, Ala.
A woman walks into an Islamic community center after an anti-Islam protest was held outside a mosque on Friday, Jun. 29, 2015 in Phoenix. The protest, which was in response to a Prophet Mohammed cartoon contest in Dallas that resulted in the deaths of two gunmen, drew national attention. Michael Gereghcy goes upside-down on a stripper pole at a campsite during Day 2 of Country Thunder on Friday, Apr. 8, 2016 in Florence, Ariz.
Casteel's Andrew Valle wrestles Sunrise Mountain's Dillon Greene (not pictured) during the boys wrestling championship on Saturday, Feb. 9, 2019, at Prescott Valley Event Center in Prescott Valley, Ariz.
Arizona State forces a jump ball against UCLA in the first quarter on Friday, Feb. 5, 2016 at Wells Fargo Arena in Tempe, Ariz. Arizona State won, 65-61. Nicholas Johnson touches Spc. 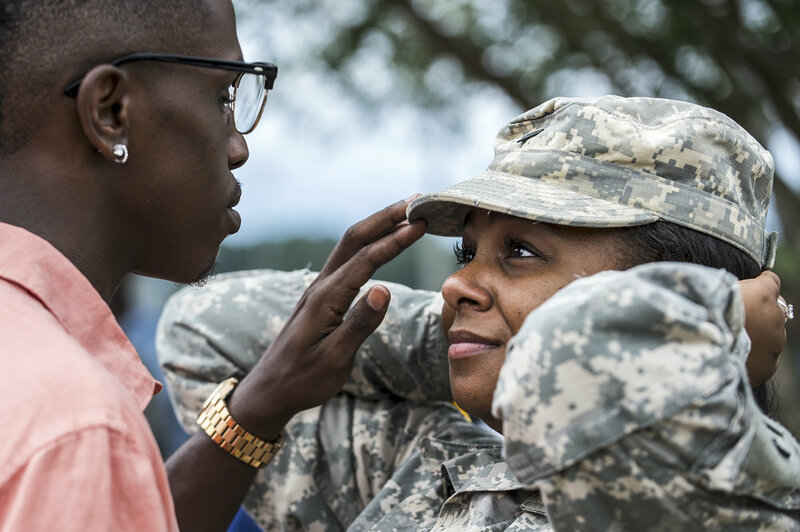 Chasidee Moultry's cap after the Alabama National Guard's 1670th Transportation Company deployment ceremony on Saturday, Jun. 18, 2016 at the Eufaula Community Center in Eufaula, Ala.
Cyclists ride on the Mill Avenue Bridge during the Ignite the Fork Triathlon on Sunday, Nov. 5, 2017 at Tempe Town Lake in Tempe, Ariz.
Desert Vista's Justice Panton falls on his head after tagging out Horizon's Christian Jacob on Tuesday, Mar. 27, 2018 at Horizon High School in Scottsdale, Ariz.
Arizona State's Tra Holder attempts a shot against Arizona's Rawle Alkins during the 2nd half on Saturday, Dec. 30, 2017 at McKale Center in Tucson, Ariz. Arizona won, 84-78. Brophy's Jimmy Hawkins goes to help up Basha's Terrell Brown after he missed a catch in the endzone during overtime at Basha High School on Thursday, Oct. 29, 2015 in Chandler, Ariz. Brophy won, 49-42.